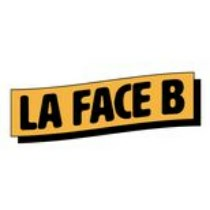 Buy La Face B a Coffee. ko-fi.com/lafaceb - Ko-fi ❤️ Where creators get paid by fans, with a 'Buy Me a Coffee' button. http://lafaceb.live -------------------------- Plate-forme de diffusion musicale axée sur la découverte musicale via un flux audio en direct et la baladodiffusion (podcast), à partir de notre studio basé à Montréal! --- Music broadcasting platform providing great music via live audio stream and podcasts from our Montreal headquarters! Secured Payments. Support goes to La Face B's account. Upgrade La Face B to a yearly Gold Membership with a one-time payment.